Hyundai has unveiled the i20 Sport Edition, which will go on sale early next year. 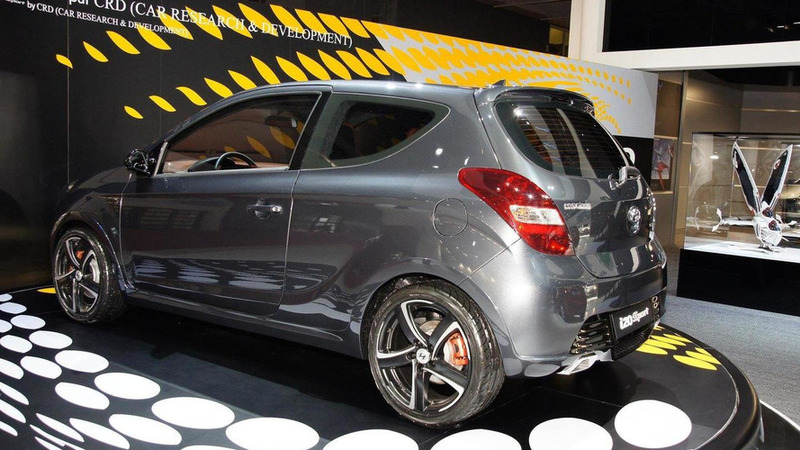 Hyundai has unveiled the i20 Sport Edition at the Paris Motor Show. Jointly developed with Car Research and Development (the company behind StarTech and Brabus), the i20 Sport features an aggressive front bumper, revised side skirts, and 17-inch Brabus wheels. Other goodies include a mesh grille insert, tinted windows, and LED daytime driving lights. Inside, designers installed Recaro seats, leather upholstery, a chrome gear shift knob, and a 7-inch touch screen with GPS navigation. Available in three- and five-door guise, the i20 Sport will go on sale early next year.